I love the terra cotta garden decorations that I see when I go to craft fairs. But since I have a budget that I have to stick to, I can not afford the price that I often see them being sold for. But after thinking about it, I realized that I could easily make one for almost nothing. A medium or large size terra cotta saucer. (The plates that go under the pots. ) Make sure it is solid, with no cracks, and no hole in center. 5 of the smaller terra cotta pots. Make sure one of them does not have a hole in it. Or depending on the size of the hole, you can fill it with hot glue. 2 shades of green acrylic paint. foam paint brushes, or you can use regular paint brushes. Hot glue gun and Hot sticks. 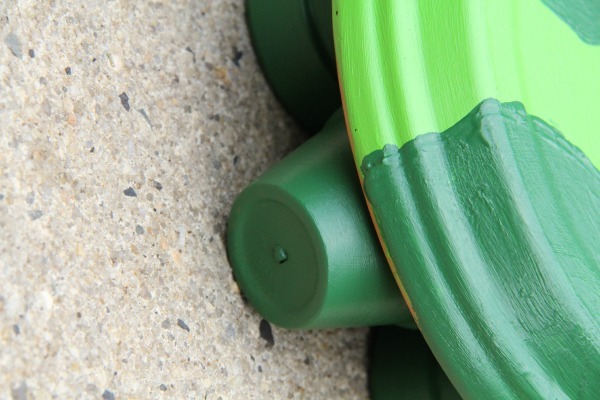 Pro Tip: You can use a Modge Pod or Paint Sealer to make it last longer. When you are ordering your supplies, get some of these beautiful flower seeds. 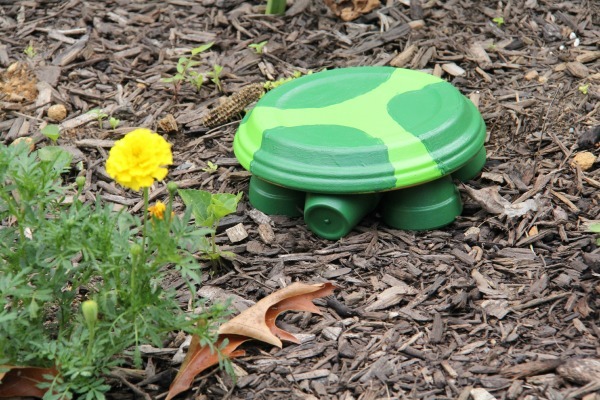 They will make your garden gorgeous with your little terra cotta turtle peeking through. 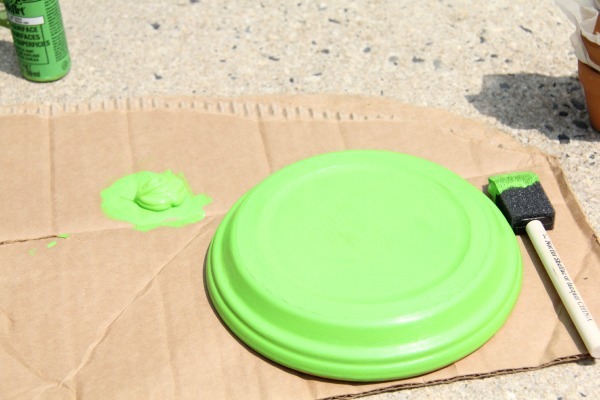 After removing any stickers or price tags, start by paining the saucer a light green. Mine took a few coats. 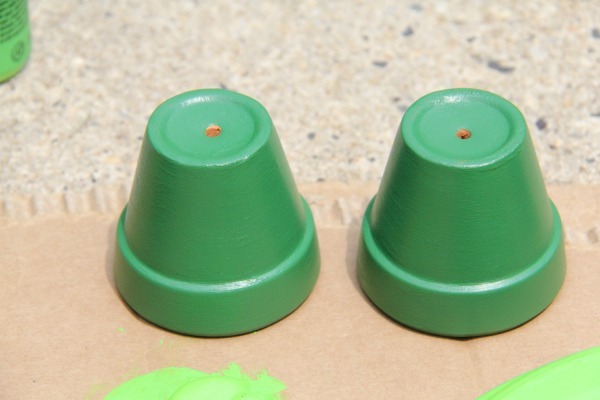 Paint the smaller pots in a darker green. 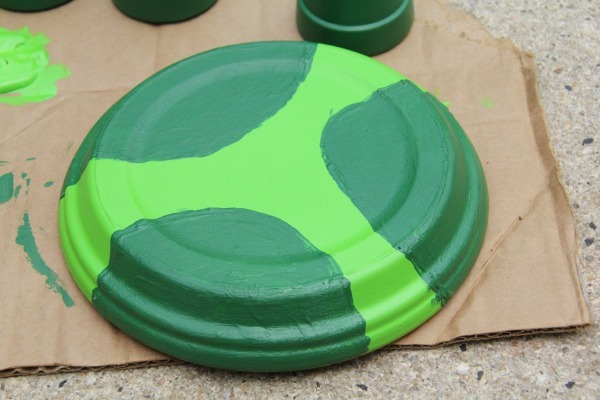 Paint a design on the back of the saucer with the dark green. You can make any design you want. 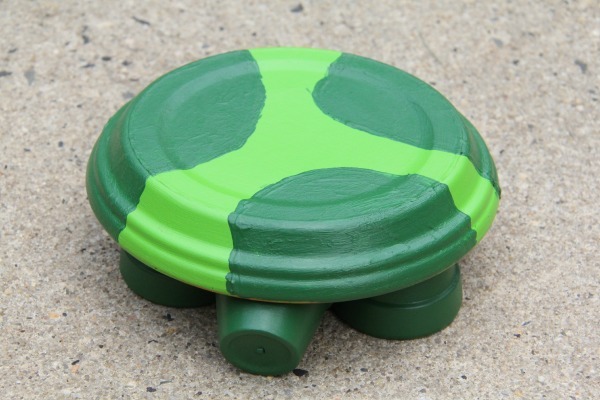 Anything that reminds you of a turtle. 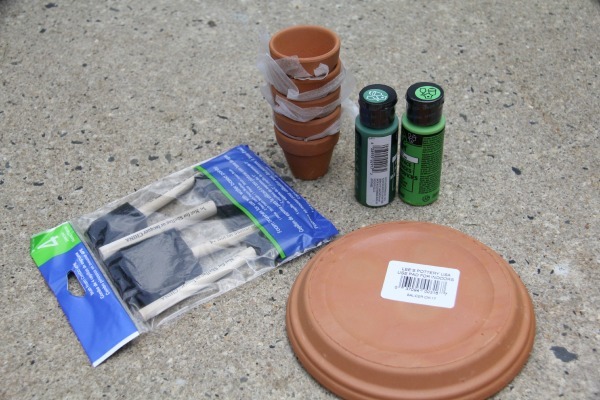 If you are going to seal the pots, this is the perfect and most easiest time to do it. You can always do it later after it has glued. Glue 4 of the smaller pots as legs. Take the 5th pot and turn it on the side, and glue it in between front legs . This is to form the head. You can add a face on the head. I chose not to. 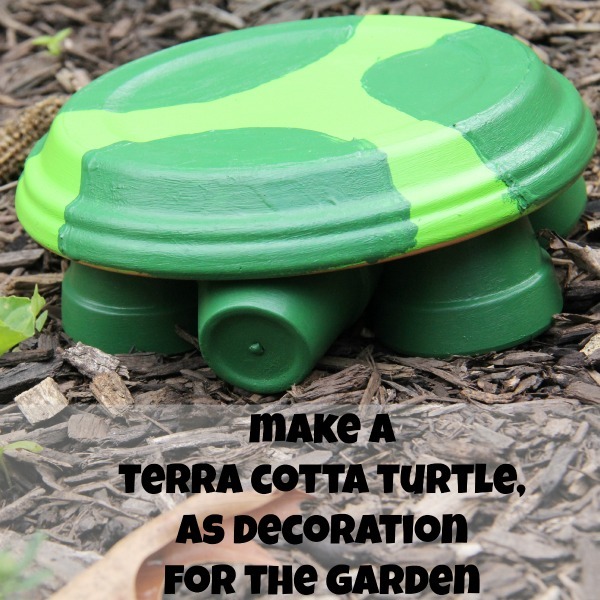 Then once the turtle is dried and ready, you can add it into your garden.